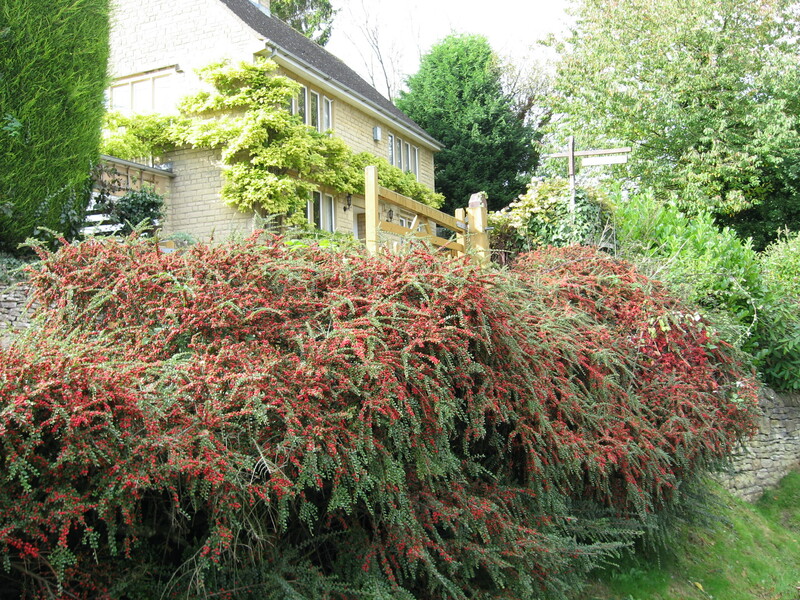 Who would have thought that Cotoneaster has such pretty berries in October? These are in Blockley, Cotswolds in October. 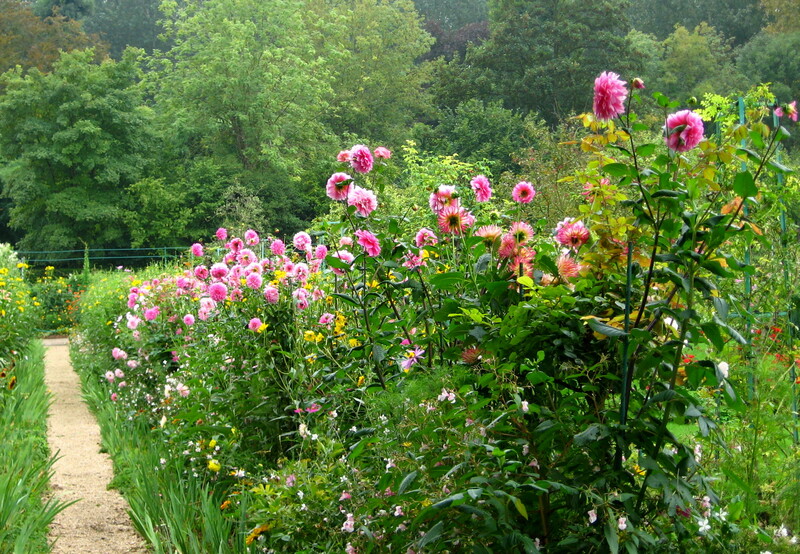 A succession of color and flowers is easy to produce in the spring and early summer, but once September hits, the show of blooms peeters out and it gets harder and harder for the garden to be colorful. That is why I am sure to plant some stellar standouts, that tend to sit around all summer long which you forget about, and then all the sudden, they burst on the scene with a bang! The most important trait of being a savvy gardener is planting something that looks very uninspiring in the spring and patiently waiting for it to show its full potential. Golden Rod does it in spades. Take for example, the aptly named ‘Fireworks’ Goldenrod, which when I looked at it last week was not doing anything much. 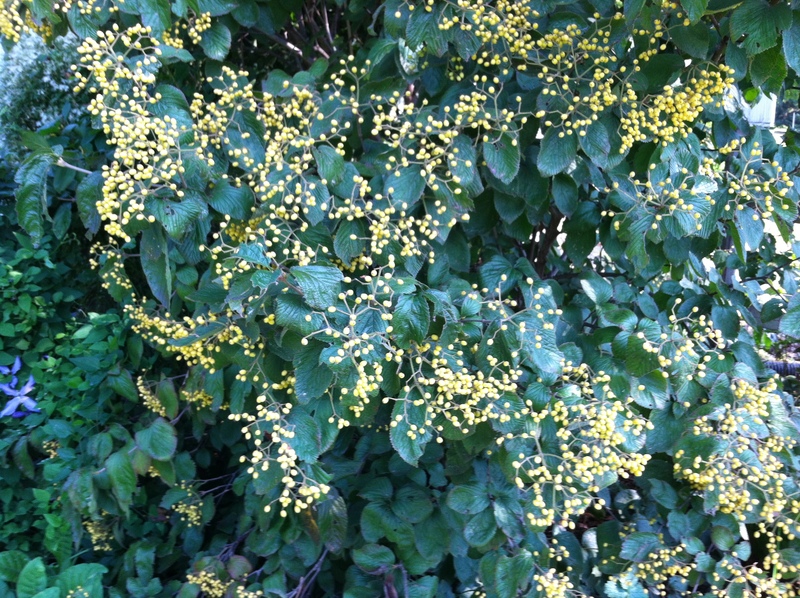 But one week later, it transforms into a graceful exploding golden display. 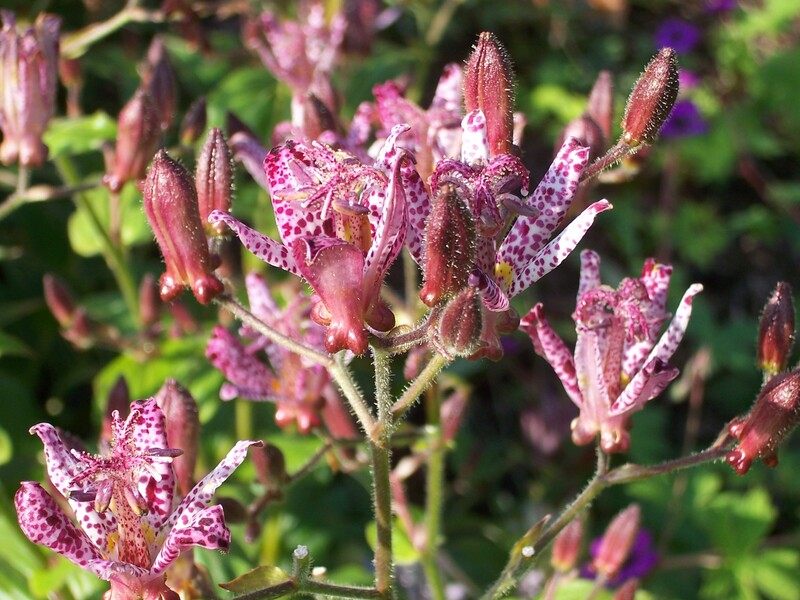 American gardeners usually disdain this wonderful native, but English gardeners know and love using this in their borders. 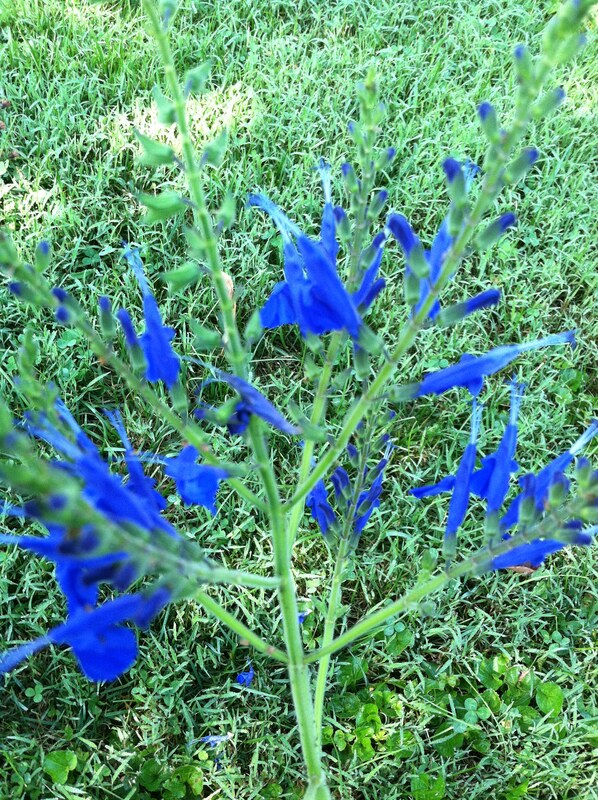 Fireworks gets around 4 feet high and is easy to grow in full sun. There are many other varieties, from the diminutive ‘Little Lemon’ at 12 inches high, to the taller 4 to 5 foot species rigida, that you normally see on roadsides. 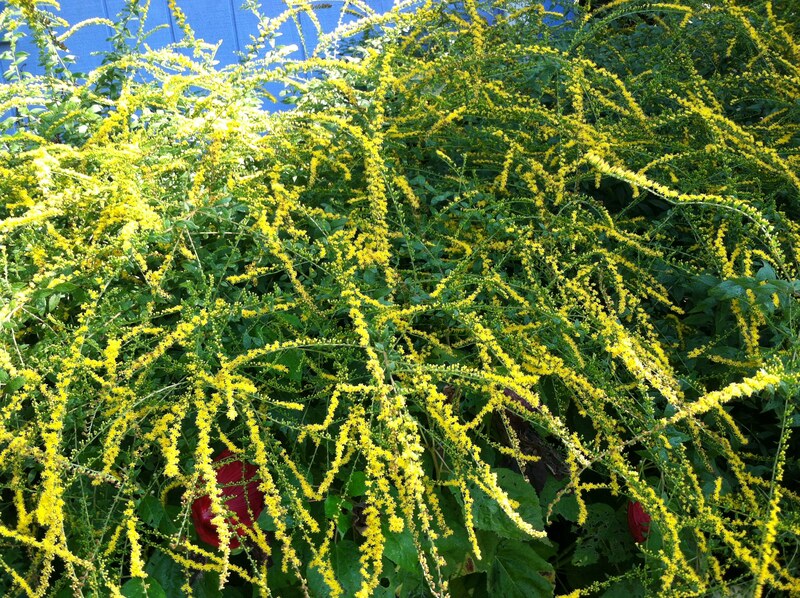 I am often surprised that more people don’t plant Golden Rod, especially with the huge emphasis on planting natives. 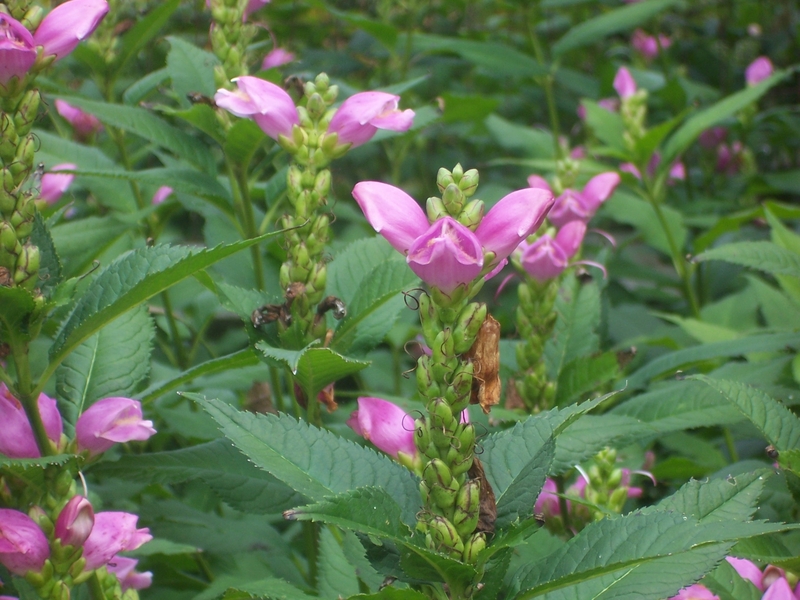 There is a mistaken belief that it causes hay fever symptoms but that honor goes to ragweed, Ambrosia sp., a totally different plant. 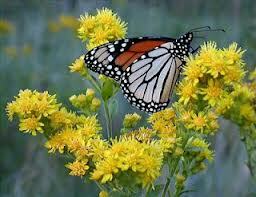 Golden Rod is a great butterfly attractor and food source for wildlife, is easy to grow, and dries very nicely for flower arranging. 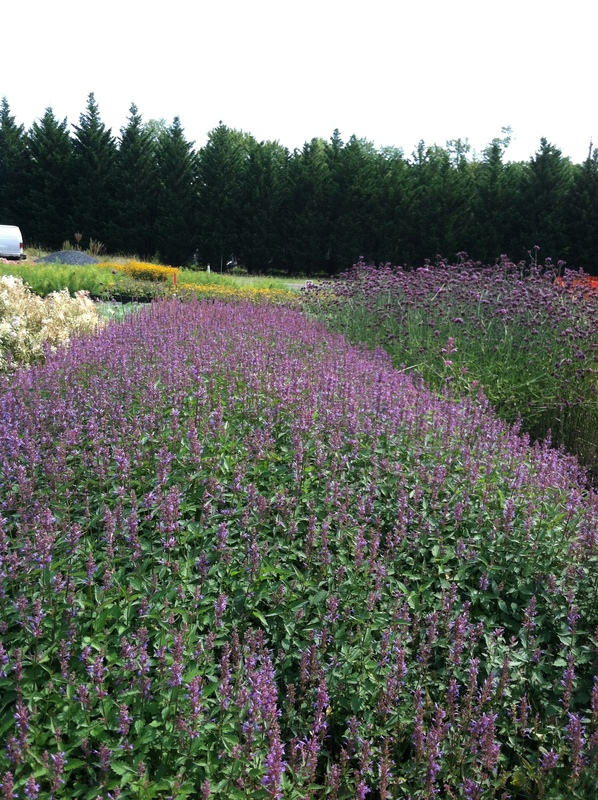 So plan on planting this next spring for fall color. 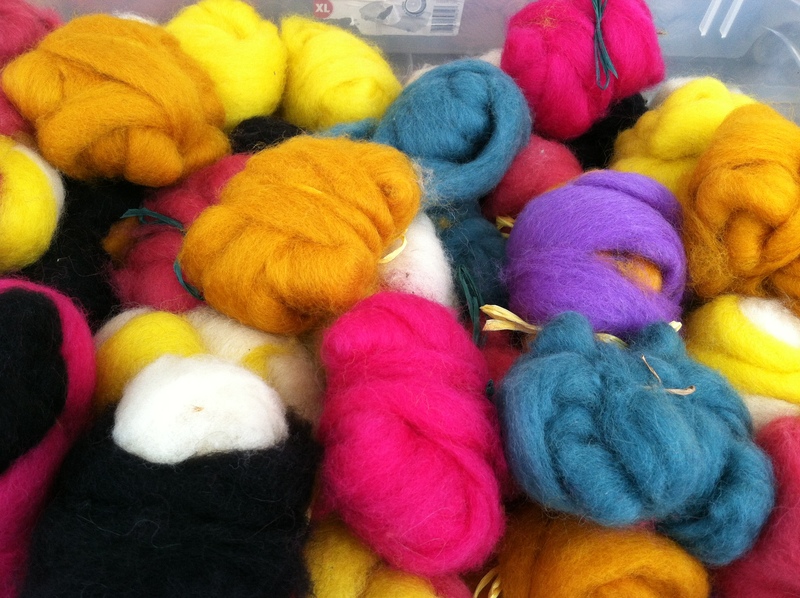 Felted wool at a farmers market – I would love to do a garden with these colors! Dahlias are another flower that come into their own in September. 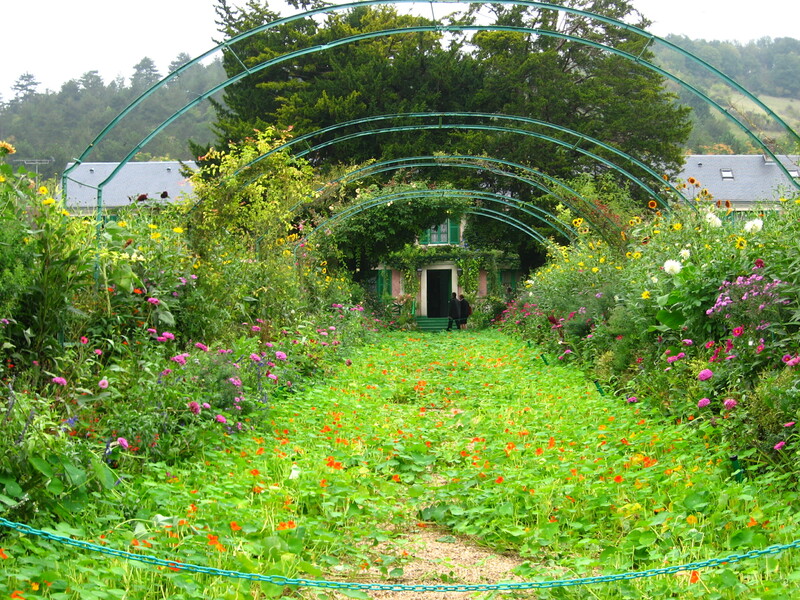 When I visited Monet’s fantastic garden in Giverny, France, a few years ago, the gardens were ablaze with blooms, mainly Dahlias and Sunflowers, and annuals such as Nasturtium. 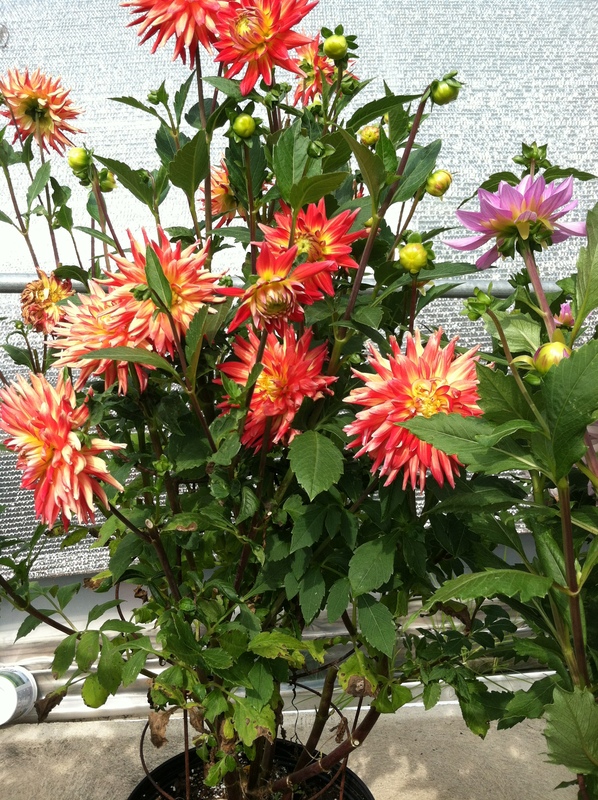 If you keep the plants dead headed, Dahlias will constantly produce more and more until frost gets them. 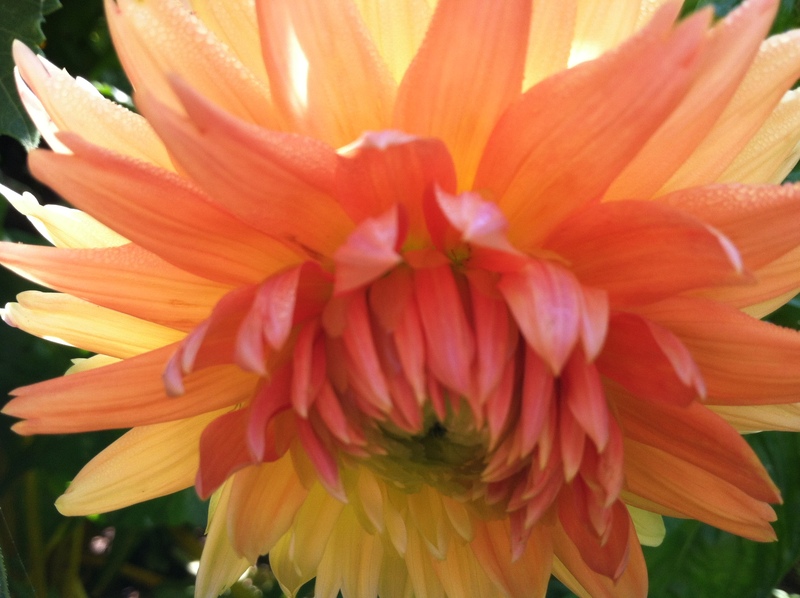 Dahlias are tubers that are planted in the early spring in pots inside to get a head start, and then brought out and planted into the garden when all danger of frost is over. I like to place a tomato cage over the plant when you plant it out so that the heavy growing plant has something to support it. If you don’t do that early, then you are dealing with a floppy sprawling plant later that doesn’t show as nice. 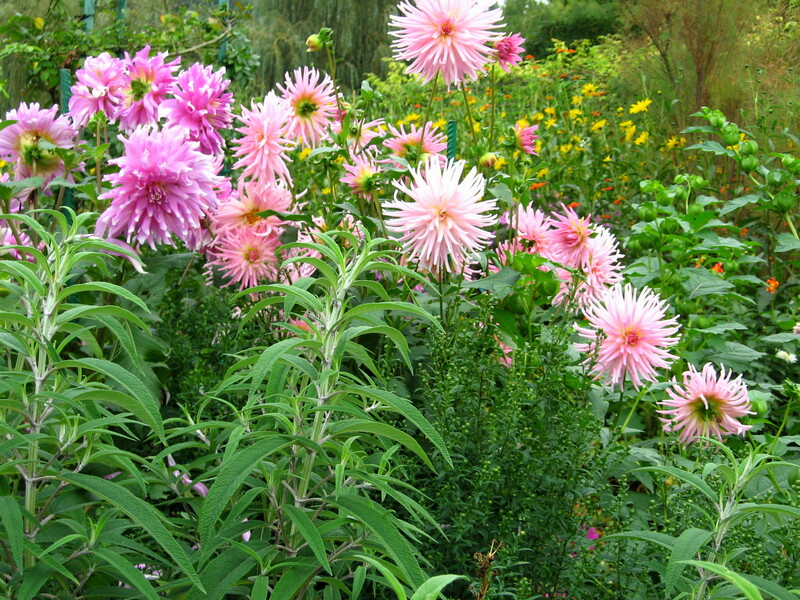 Dahlias are heavy feeders of both fertilizer and water. 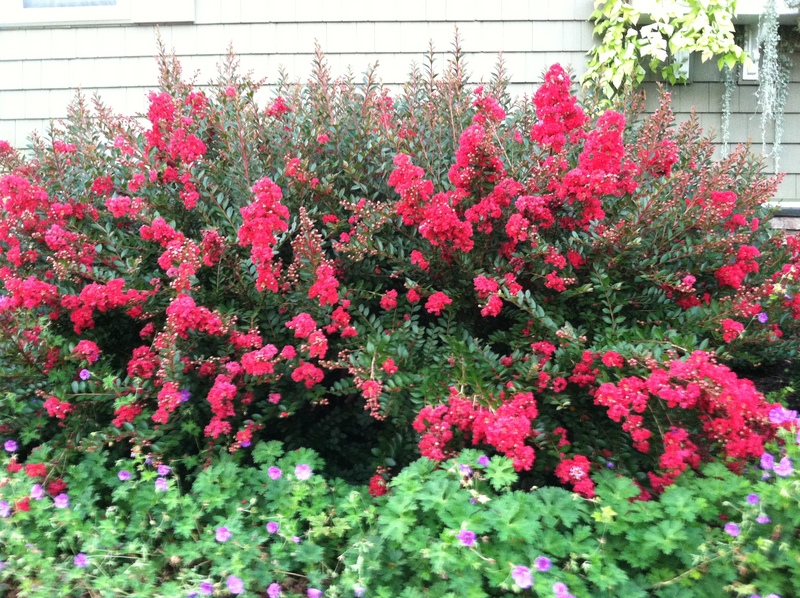 They do not like to dry out, so keep them watered in July and August when things can get hot and dry. 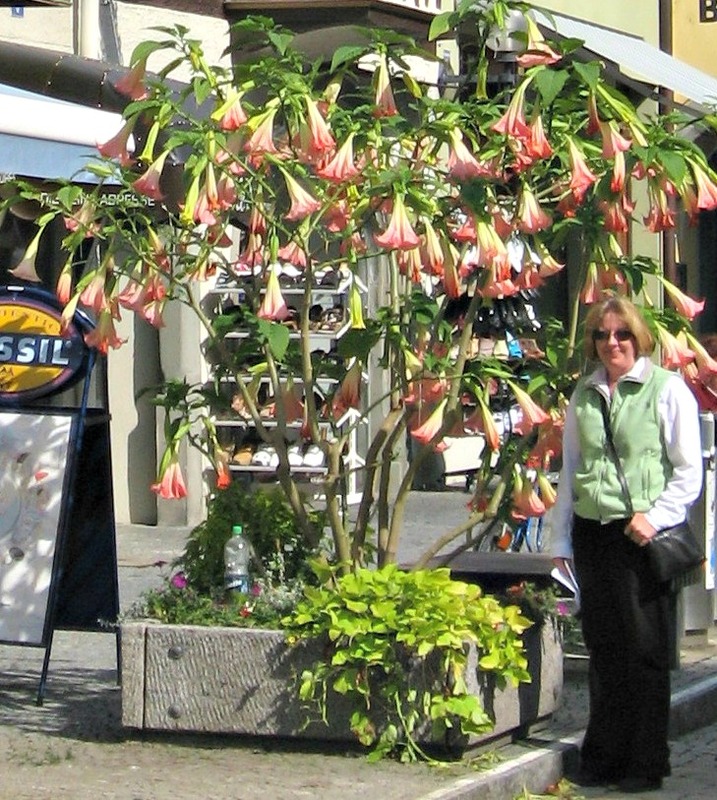 They make excellent long-lasting cut flowers and come in a variety of shapes and sizes, and colors. 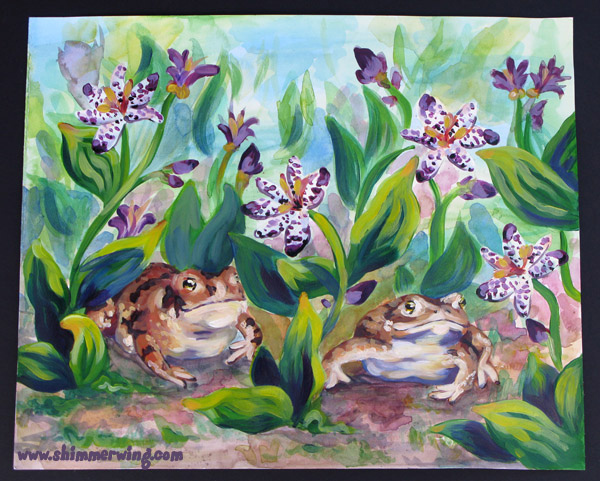 I used to dig up the tubers and wash them and store them in my basement to replant the following spring, but I got lazy and only bothered to dig up some really beautiful and special ones. But in the last couple of years, I noticed that a lot of Dahlias come up in the spring on their own without me doing anything. 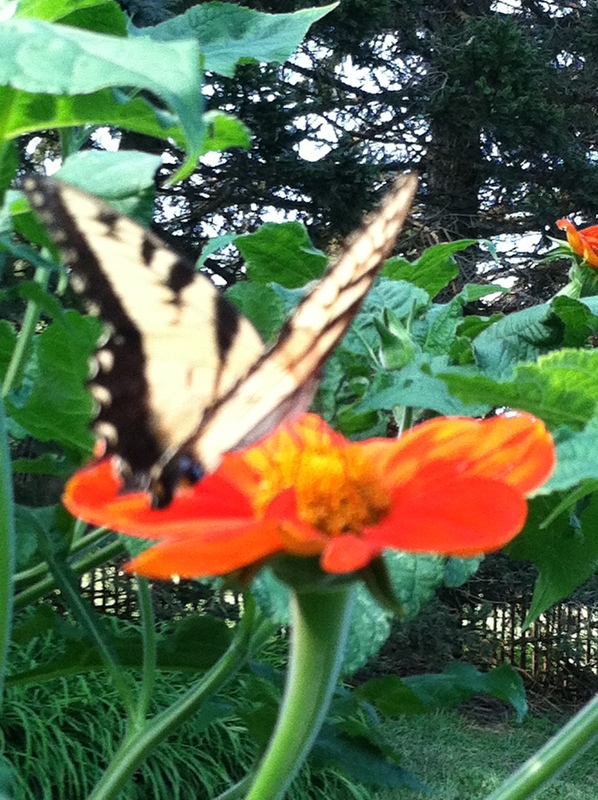 Maybe this happened because of the mild winters, but I am not going to dig them up any more. 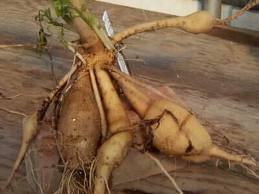 It is easier to just try new ones every year as the tubers aren’t that expensive. Call me a lazy gardener! 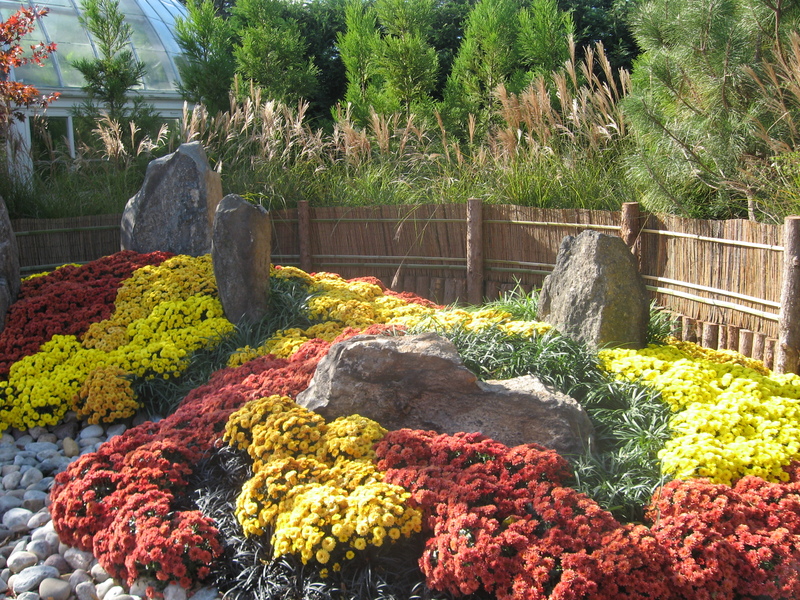 Of course Chrysanthemums must be considered when you discuss fall color. 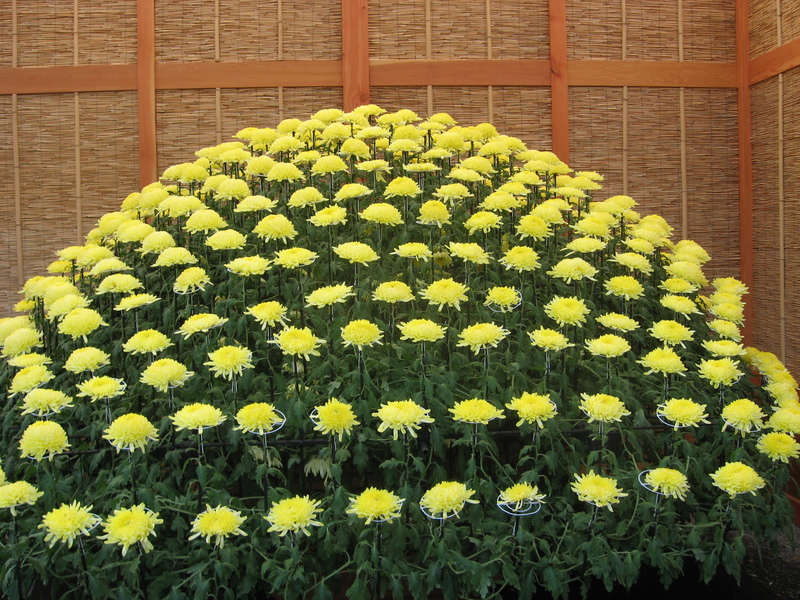 I do love the weirdly beautiful football mums and the spider varieties that the Japanese grow in different formations. 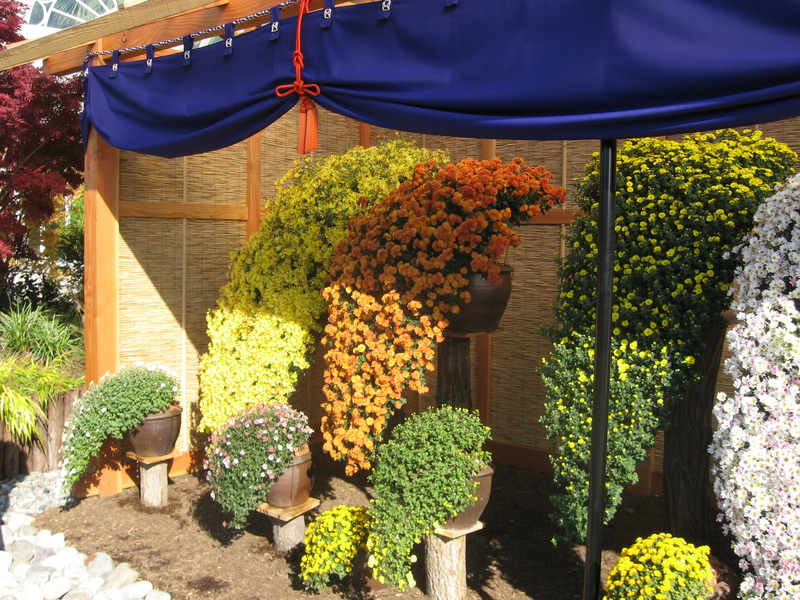 The art of Kiku, the closely guarded tradition of carefully training large Chrysanthemums, on a single stem up to 6 foot high, is on view at the NY Botanical gardens every fall. I went a few years ago and was in awe of this art. Only the Japanese would have the patience to grow a plant that requires hours of tending every day. 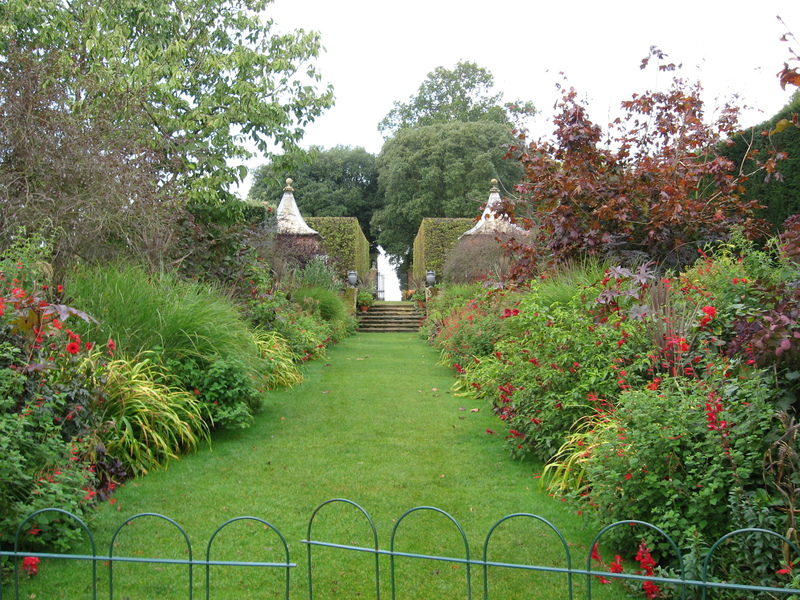 They fertilize, groom, stake and tie up these monsters to make fantastical shapes. 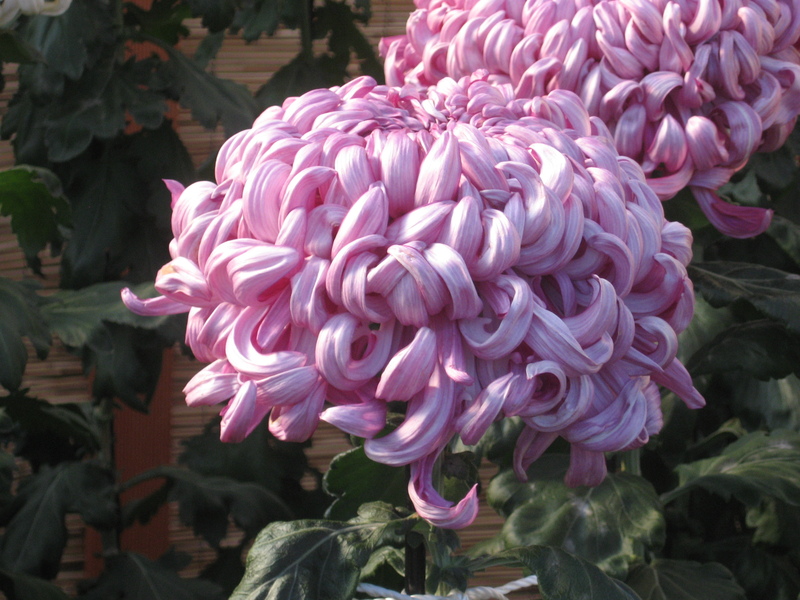 I admire this art of flower manipulation for show but for growing, I love the garden Chrysanthemums, like ‘Sheffield Pink’. The botanists call this genus Leucanthemum, not Chrysanthemum, but most people just call them mums. 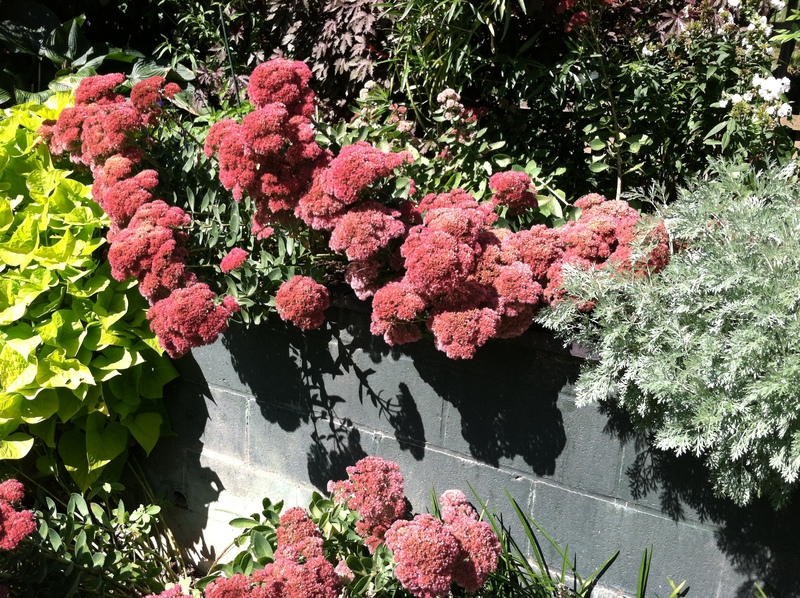 I love the Sheffield Pink one as it has a soft pinky peach flower that changes color as it ages, and it starts to bloom in late October into November. Nothing much is blooming then so it is a welcome sight. 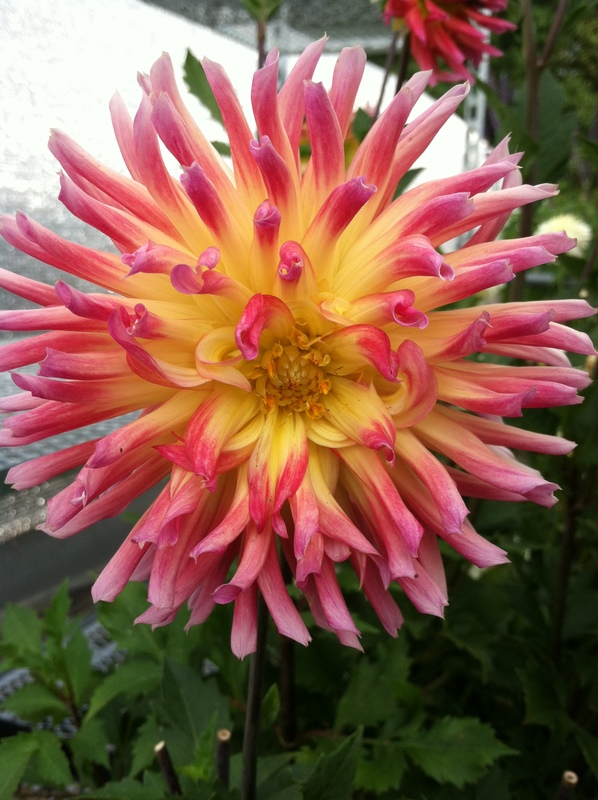 When I went to the NY Botanical Gardens they had a similar Chrysanthemum that resembled the Sheffield Pink, but it was bright orangey red with a yellow center and I loved it. Unfortunately, I searched for it in the trade and could not find it. I am still looking as I love orange flowers. 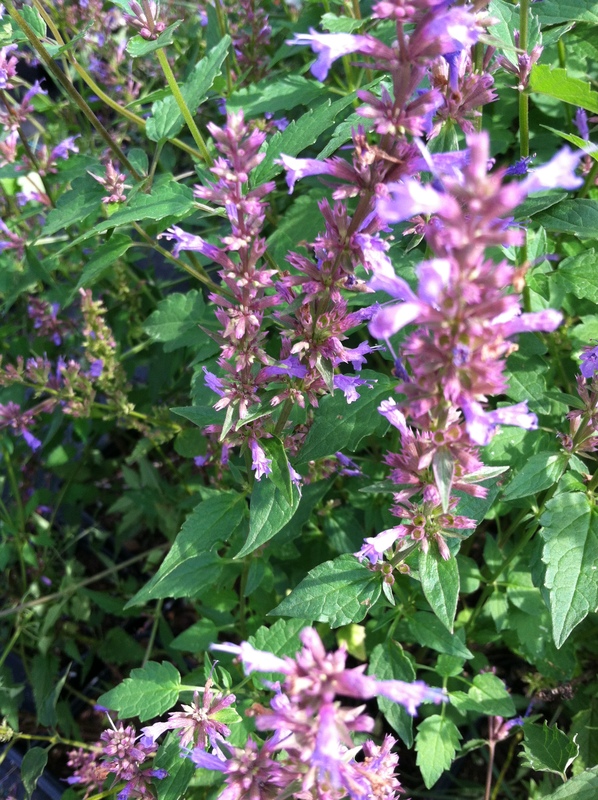 I was growing Agastaches, or Anise Hyssops, 3o years ago before they became fashionable. 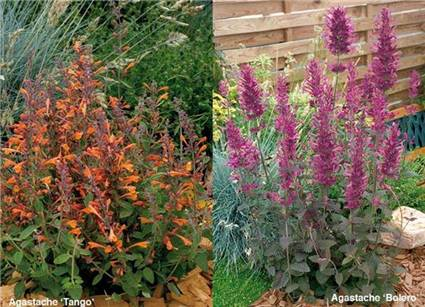 Their trademark is a wonderful licorice scented foliage and plumes of long-lasting flowers in a range of colors. 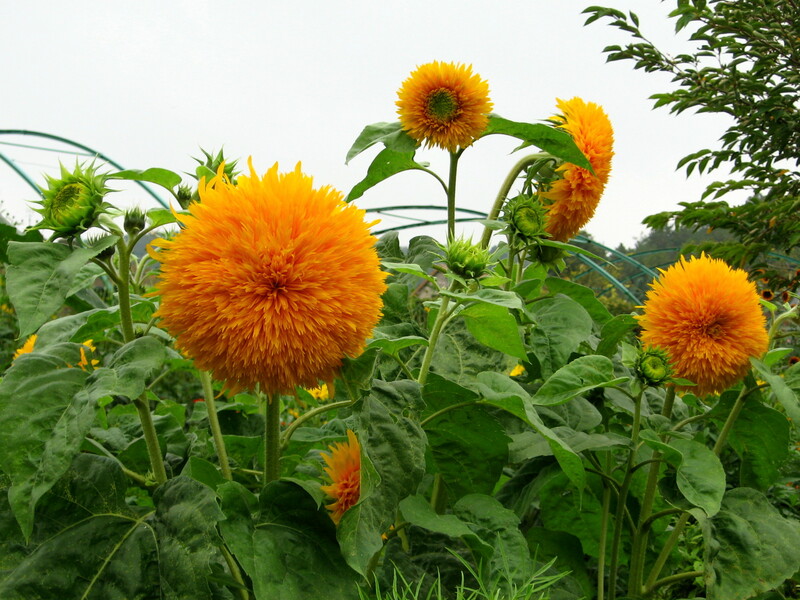 Long blooming and tough, if you have full sun you should try a few of the varieties. 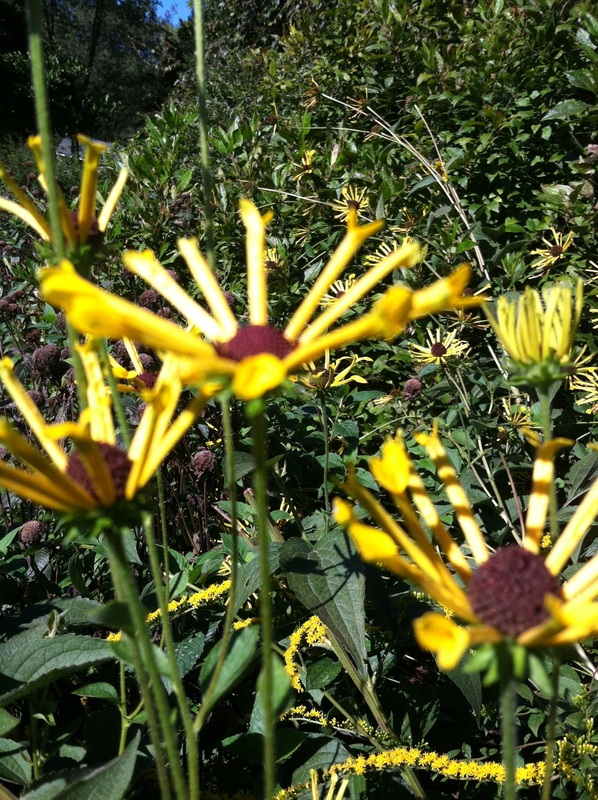 Hybridizers have been working on developing new colors and I love them all. My favorite is the old stand-by ‘Blue Fortune’. Purple Haze, Tutti Fruitti, Tango, Black Adder, Bolero, Firebird, Golden Jubilee – the list goes on and on. 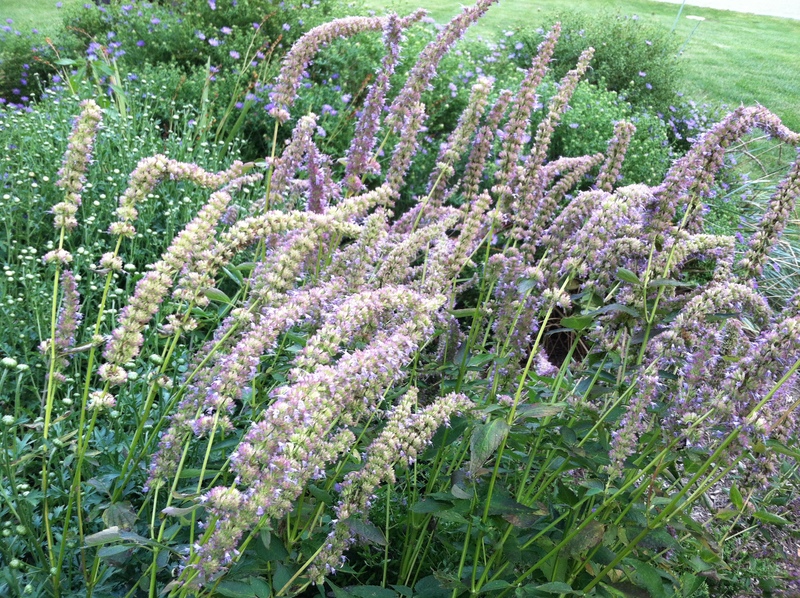 Drought tolerant, easy to grow in full sun, attracting tons of butterflies and bees, it is a great unsung hero of plants. 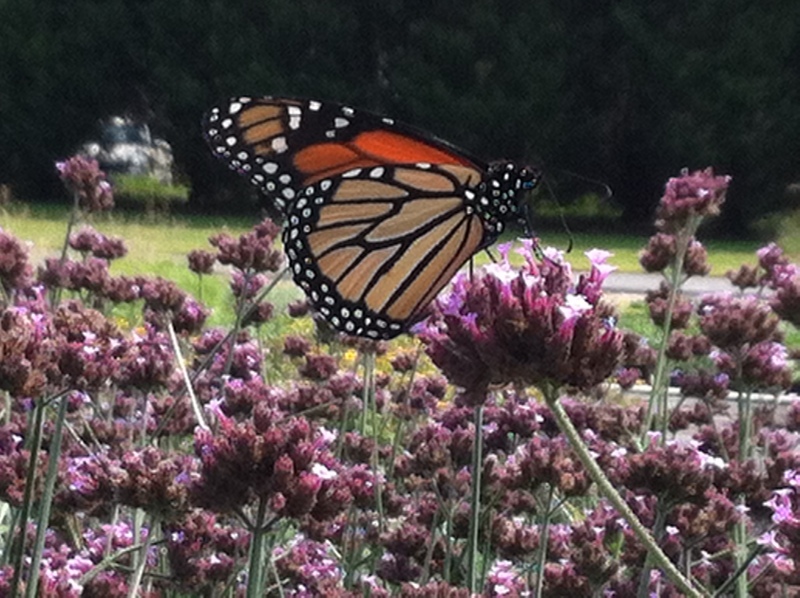 Add a few of these to your sunny garden for hordes of pollinators to discover. Again, it is not much to look at in the spring when you are shopping for plants. But, seek this one out and you will be rewarded with a great performer. If you think that I am forgetting Asters, I’m not. I don’t like them much and I have grown a few. 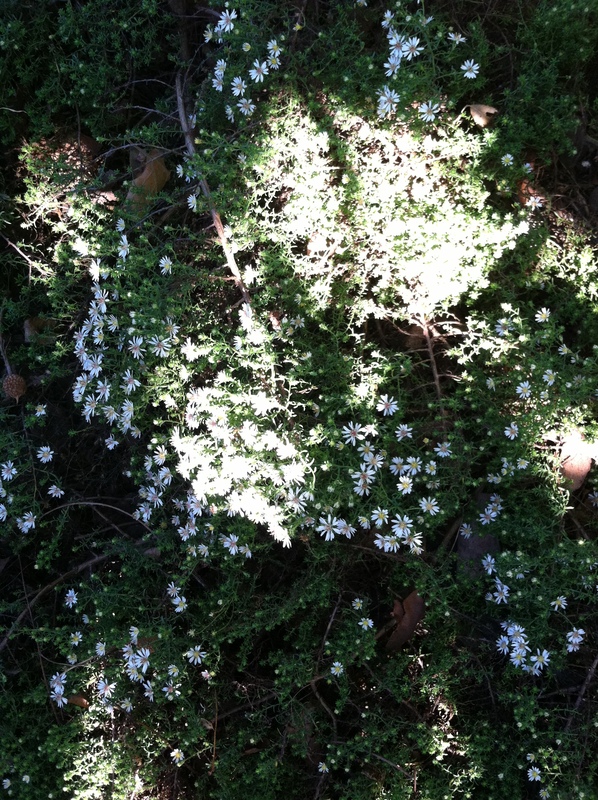 There is a quite nice ground cover one called Aster ericoides which blooms with tiny white flowers for about 6 weeks and is only 3 inches high! It forms woody branches that cover the ground closely so it is great to use on slopes. 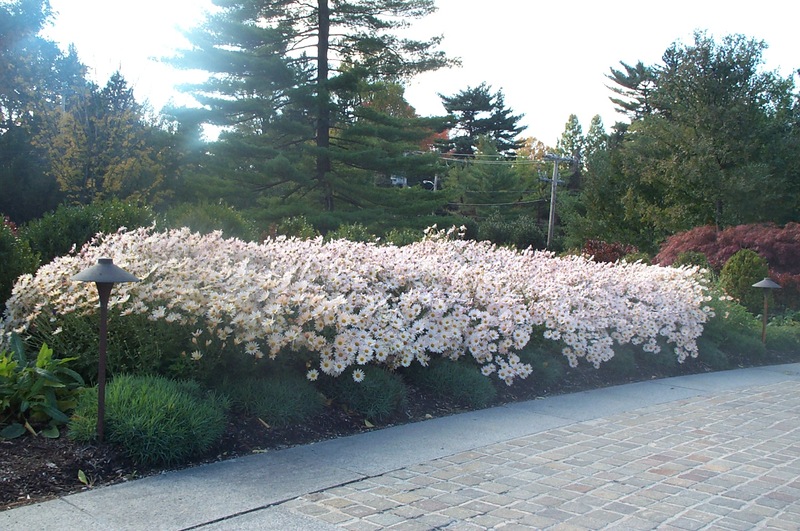 The other Asters tend to get quite large and floppy and have small flowers with a lot of tall foliage. 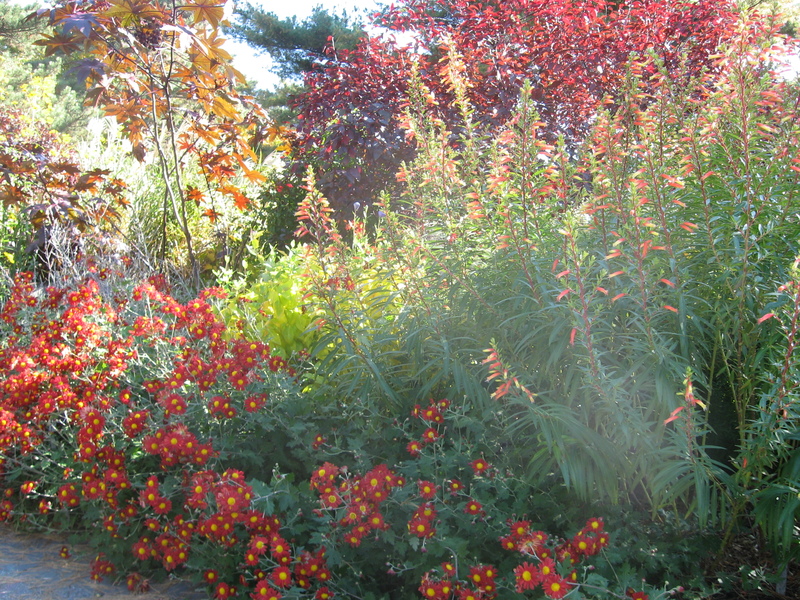 I am pulling ‘October Skies’ out this fall after it blooms because it has taken over my garden and has greatly exceeded its promised 18 inches in height. 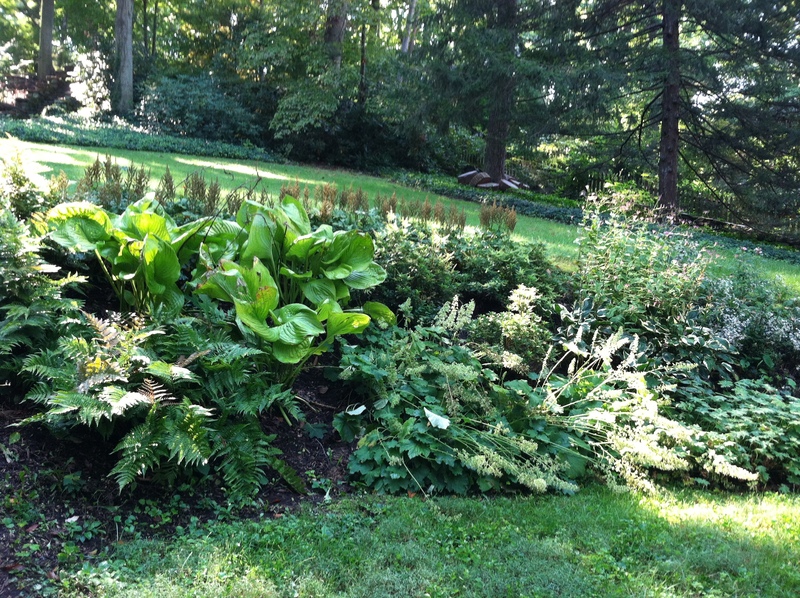 Anything that needs staking and engulfs its neighbors, I cannot tolerate. So, after trying my share of different asters, they are off my list for good. 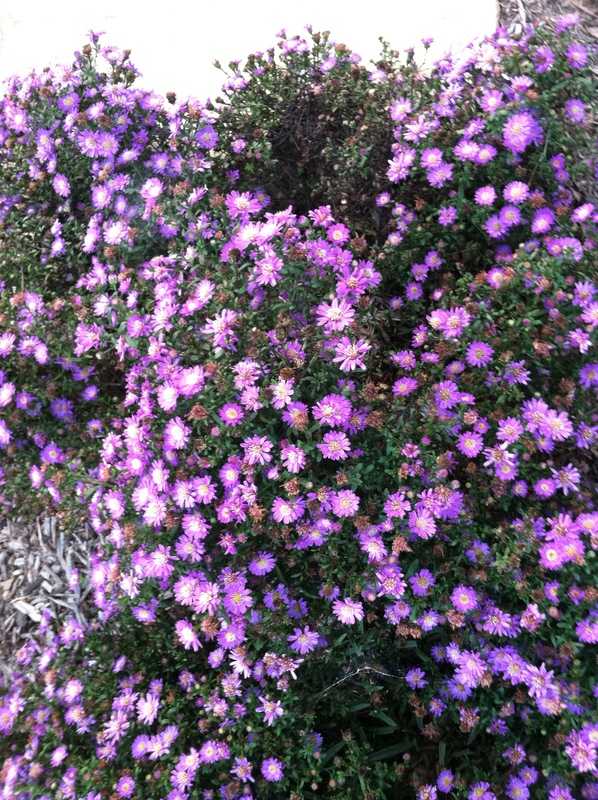 Asters are preferred by deer and rabbits and are usually eaten to the ground in the spring, so I lose a lot of them that way. Ok, this one is quite pretty, but I am ripping it out anyway! Thank you for putting this together. I was just noticing how sad the cone flowers and ruhbeckia were looking. 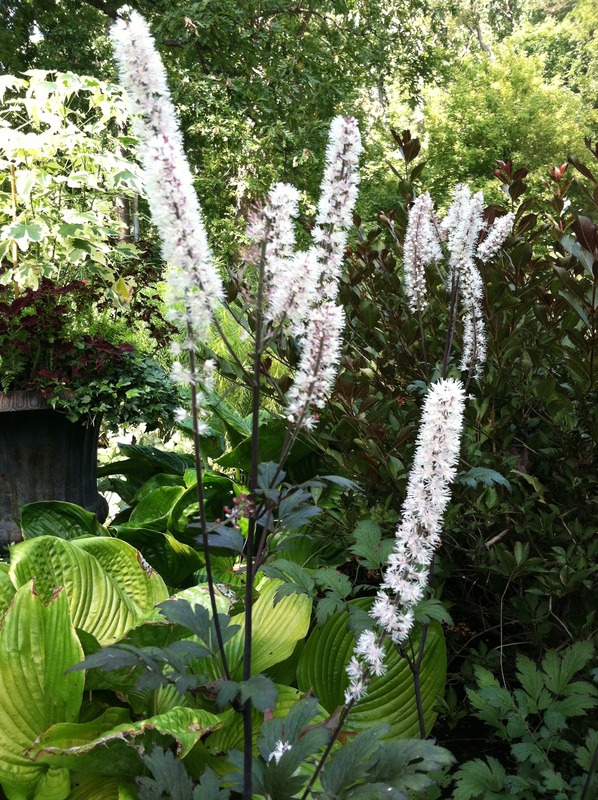 I will have some fall bloomers to add next year. I am with you on digging up the dahlias and also had some come up on their own this year. You have really done your research! 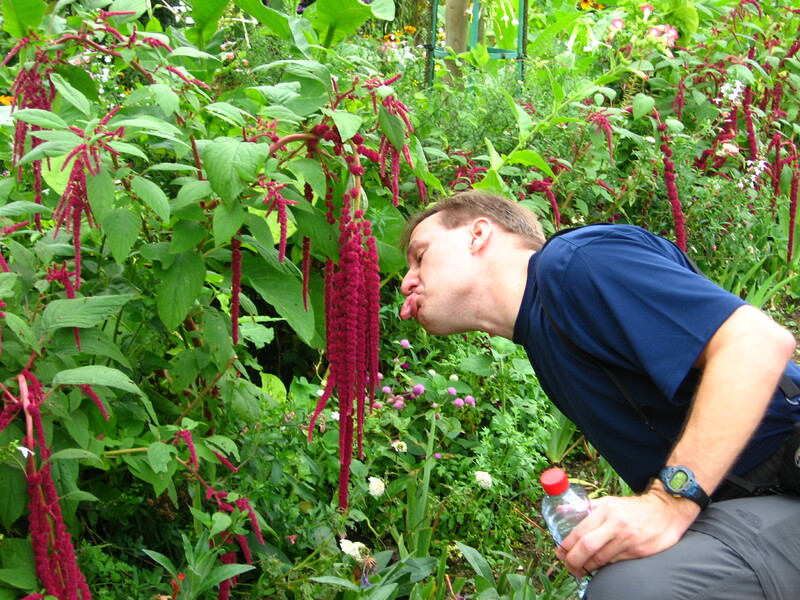 What lovely flowers and such varieties! Thanks for the ping back!